It is never too early to teach the value of a healthy body and mind. As a former K-12 school teacher, Susan understands the opportunities and challenges in the school learning environment. 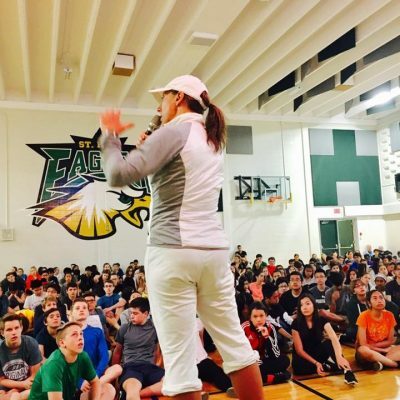 She has presented at hundreds of schools and is continuing to support teachers and students as they nurture their spirit, focus on well-being and enhance success. 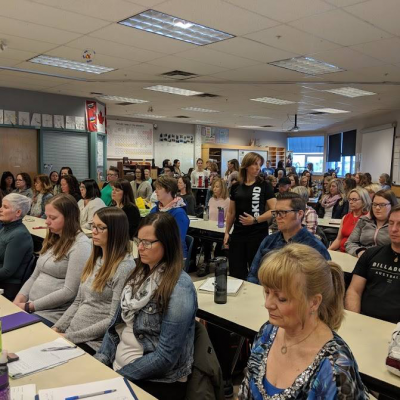 In addition to the TIME OUT Mindfulness Kit, Susan has developed several resources to help teachers and parents incorporate health and wellness into their classroom and at home. 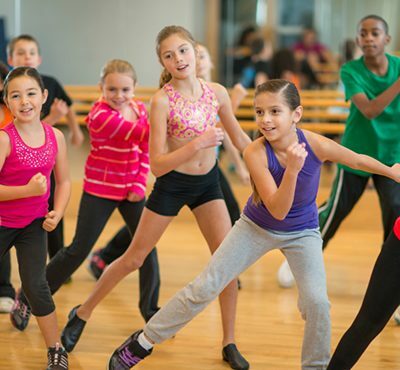 Contact us to learn more about the program or arrange training for your school. “As a K-12 school teacher, I quickly realized that my role was more than just teaching the curriculum. Kids were stressed and anxious as young as 7 or 8 years old. Many kids in my classroom were labelled ADD or ADHD, unable to focus, concentrate or even sit still. There was bullying, depression, anger issues, insomnia and the list goes on and on. Many of the teachers and parents were also dealing with this. I wanted to do something. 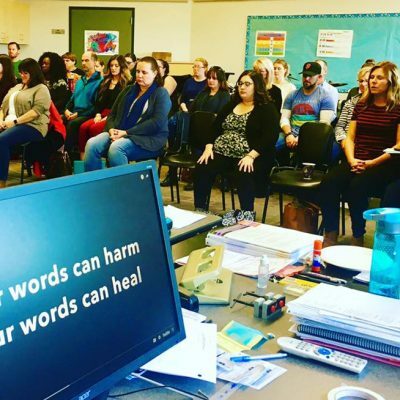 I wanted help, so I developed a TIME OUT Mindfulness Training & Kit specifically for teachers, students and parents. 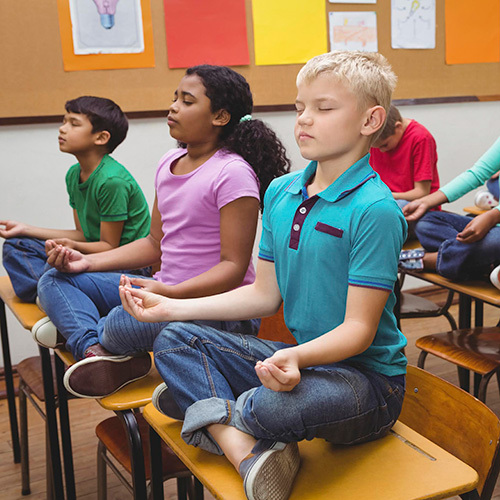 The Mindfulness Kit includes mindfulness exercises as well as meditation and mindfulness techniques (3-11 minutes) for relaxation, stress reduction, self-regulation, memory, concentration, focus and depression. Some of the mindfulness techniques are backed by scientific research out of a variety of universities in the USA. It’s simple and easy to do. All you need is you! To register for a TIME OUT Mindfulness Training, Online 40-Day beKIND Challenge or to purchase a TIME OUT Mindfulness Kit, contact us. A first of its kind in Canada, the signature beKIND Mindfitness Triathlon incorporates fitness, yoga & the beKIND Mindfulness Challenge. March 8 & 9, 2018 at SHAW Conference Using movement, breath, mantra and meditation, Kundalini Yoga calms the mind, strengthens the immune and nervous system to better handle stress, stretches and builds muscles - improving your health and enjoyment of life. You could change someone's life. 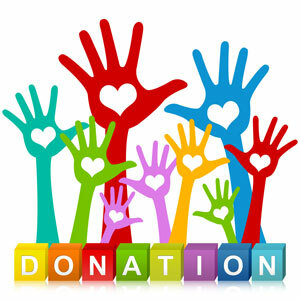 Make a difference and donate to the TIME OUT School Program for kids and teens. 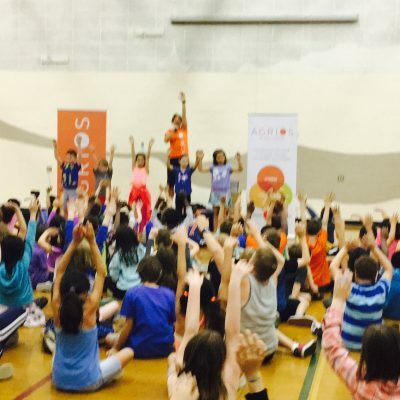 On September 30 and October 6, 2016 the first ever in Canada TIME OUT Mindfitness Triathlons (fitness, yoga and meditation) were launched in an Edmonton Catholic and Edmonton Public School with over 1200 students and teachers. 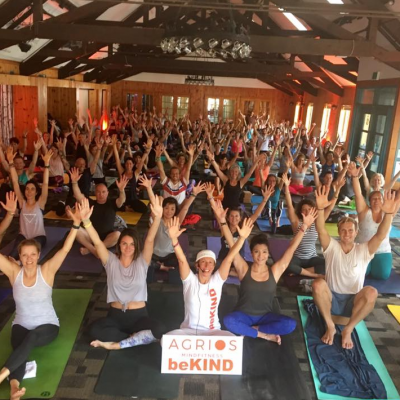 A first of its kind in Canada, the Agrios Mindfitness Triathlon incorporates fitness, yoga, and meditation as well as a 40-day Mindfulness Challenge. Using movement and breath we connect the mind and body. Unlike traditional triathlons (swimming, cycling and running competitions), this triathlon focuses on three core areas – mind, body and heart. 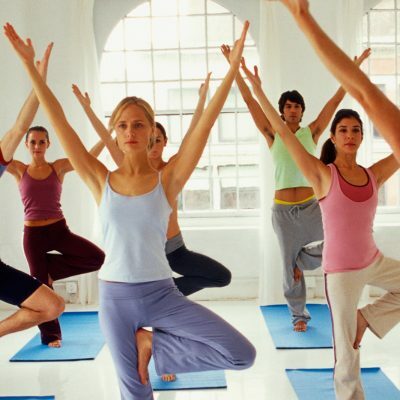 Participants will have the opportunity to explore the mind body connection and learn new skills that will help reduce stress, improve memory and increase concentration. The fitness component is about having fun and creating a non-competitive environment where we support, encourage and help each other out. Over 12 000 adults and kids have taken the TIME OUT Mindfulness Challenge. Will you be the next? For more information contact Susan Agrios by email. beKIND Mindfitness Triathlon coming June 7, 2019 (fundraiser for mental health and wellness in schools). It's fun. It's unique. It's a one of a kind event and there is nothing like this in Canada and it involves all ages. The beKIND Mindfitness Triathlon incorporates a 3km walk or 5km run, yoga and meditation (the beKIND Mindfulness Challenge) with a focus on 3 core areas: body, mind & heart. 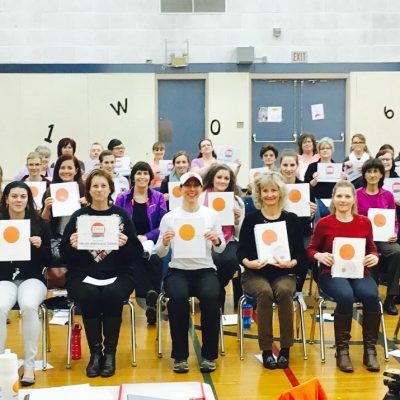 Over 14 000 kids, teens & adults have taken the beKIND Mindfulness Challenge. Susan Agrios is committed to results. As an athlete, educator and highly trained fitness professional, she not only understands the physical mechanics of people, but also recognizes the fundamental importance of the mind body connection.